← Craving for Tita’s Crispy Okoy Special! 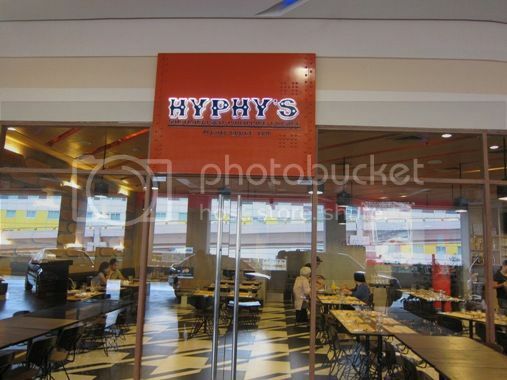 We got to try Hyphy’s by Chef Bruce Lim at The Veranda of Robinsons Galleria a few weekends ago. Because it was midafternoon when we went, we decided to order pasta instead of rice meals. 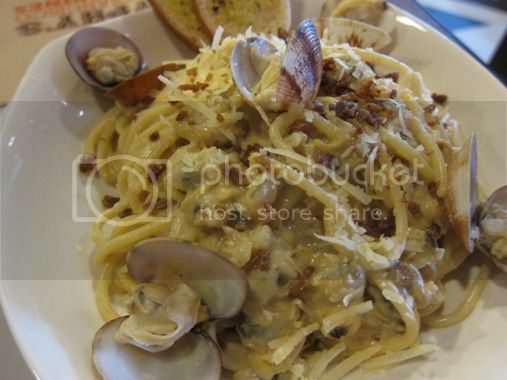 We had Sisig Pasta, Malunggay Pasta and Clam Pasta. Our food attendant was very accommodating. He even gave us complimentary garlic fries much to the delight of the little boy. This was hubby’s order. 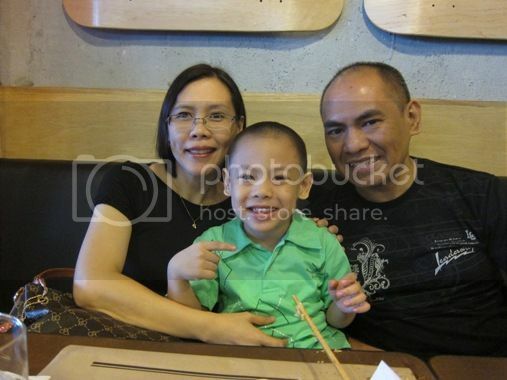 He loves sisig, so he wanted to try this Sisig Pasta for a change, and he liked it! This was what I ordered. I love the toppings, really yummy! It just took a while before I became accustomed to the taste of the pasta, but it was fine. This was what I loved the most! You definitely need to give this pasta dish a try. Overall, the food presentation was really nice, the food tasted okay, the prices were affordable, the place was cool and the staff were friendly and courteous. Hyphy’s offers a fusion of Filipino cuisine with foods you find in San Francisco, a place where Chef Bruce Lim grew up. 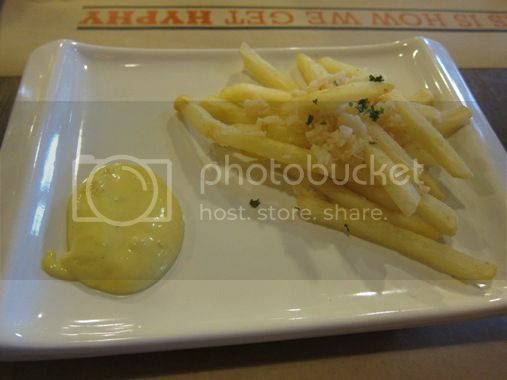 This entry was posted in Food Trip Friday, Hyphy's, Restaurant Review, Robinsons Galleria. Bookmark the permalink. Cute and yummy…Happy FTF! Mine is up. gusto ko matikman ung sisig pasta! i’m a huge sisig fan and the idea of it being a pasta dish just makes me salivate! 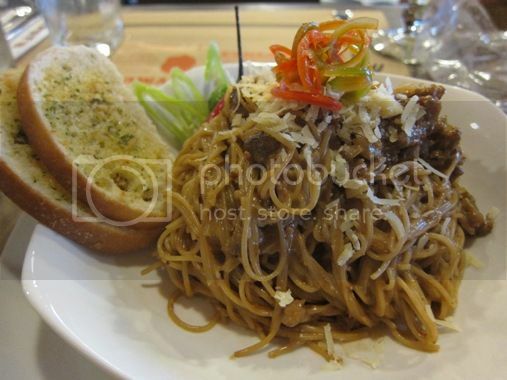 the sisig pasta looks good; would like to try that someday :-)! I know they want to emphasize that they used fresh clam, but i hate it when they have to include the shells mixed in pasta. 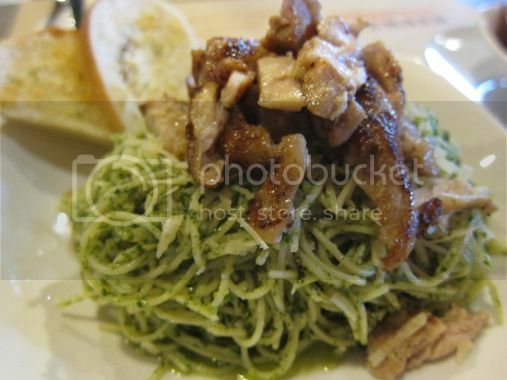 wow, the sisig pasta and malunggay pesto sounds really unique and intriguing. Hope i get to try them too on our next vacation in Philippines, will take not of this place. I just tried it last week and got the calamansi tuyo pasta 🙂 check out my blog, I made an entry too!! haha. Malunggay Pesta sounds good to me, I would like to try it when I go home. 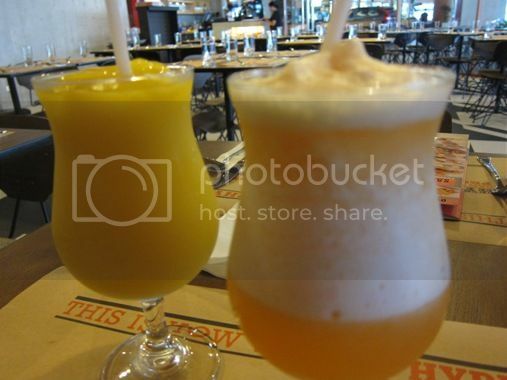 For a drink, I would like to have mango shake 🙂 Happy weekend! hmm, mukhang must try ang sisig pasta na yan ah…will definitely put that on my list to eat..
wow, everything looks mouthwatering, yes would love to try it someday…must b really great! love that they give complimentary fries, so nice of them to do! anyway, happy mother’s day and have a great weekend! wow, a sisig pasta. That would be nice. I love sisig! Thanks for visiting my site.